M / V Kaptan Hilmi-III((built 2450 dwt-1987) belongs to Hacıoğulları Sand Pebble Trading, Land and Sea Transportation Ltd. Şti (Hacıogulları Kum Çakıl Ticareti Kara ve Deniz Nakliyat Ltd. Şti.). Our vessels are always well maintained and for long years We especially carry cargoes of well known Chartering companies such as Arcelor Mittal, Glencore, Tata Steel, Empros Lines, Marcegaglia Steel, Soufflet Negoce,Granit Negoce, Union Invivo, Lecureur Sa, Ameropa Ag, Keytrade Ag,Bunge,Trammo,Louis Dreyfus and many others. 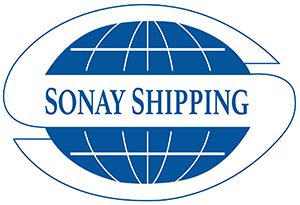 All these companies know our group as Sonay Shipping Ltd (Sonay Denizcilik Ltd Şti) and before fixing any of our vessel you can ask references to them about our good company. In addition to our Shipowner business, Our company is also very active as dry cargo shipbrokers. We are acting as panel broker or semi exclusive broker for some of the first class Chartering companies located in Turkey or abroad and our supporting Charterers list are increasing day by day.Sonay Shipping acts as dry cargo broker upto Panamax size. ISM managers of the vessels belongs to our group is Sonay Denizcilik Ltd. Şti. Sti. and Ay Denizcilik A.Ş. All our ships are General Cargo – Dry Cargo type and their main trading areas Black Sea, Mediterranean,Red Sea,Continant,Baltic Sea,West African ports,West and South Atlantic ports(including Brazil,Uruguay,South Africa). M / V Sabahat Sonay, M / V Şevkettin Sonay and M / V Nuri Sonay are designed to carry also project cargoes and heavy cargoes as they have 20t/m2 tank top strength. They are open hatch,double skin, semi box type and have Imo / Dangerous cargo carrying certificates. They have 3 x 30mts deck cranes and container paddles on the hatches. We have also M / V Kaan Sonay((1505 dwt 1978 construction – 1984 rebuilt) which carries sand for our ready concrete factories’ requirements. She perform domestic voyages within Marmara sea and Black Sea for our company. Hacıoğulları Group aims to expand its existing fleet by buying 15-30.000dwt bulk carriers as soon as the market recovered. The operation of the vessels are directed by ourselves from our head office located in Tuzla(Hacıogulları Plaza). Hacıogulları Group works at different sectors with about 600 employees and specialists on land and sea. It has 4 ready concrete factory located in Istanbul, Kocaeli and Yalova with more than 500 machinery and vehicles. Also Group has one petrol station(Total brand) which can also supply vessels’ trading domestic market. Apart of than group has several plazas for rent and also active in building sector and builts rezidances for sale and rent.There is also one mine belongs to group. Our company expands its activities in different sectors with strong investments and is on its way to becoming a holding company.